There are hundreds of credit cards spread across dozens of credit card issuers. The first step to choosing a credit card is to figure out the type of credit card you want based on your needs. The types of credit cards out there range from your basic no frills card (known as "plain-vanilla") to your premium card with a lot of perks and benefits. Standard credit cards are referred to as "plain-vanilla" credit cards because they offer no frills or rewards. They're also relatively easy to understand. You might choose this type of credit card if you want a card that isn't complicated and you're not interested in earning rewards. The standard credit card allows you to have a revolving balance up to a certain credit limit. Credit is used up when you make a purchase and then more credit is made available once you've made a payment. A finance charge is applied to outstanding balances at the end of each month. Credit cards have a minimum payment that must be paid by a certain due date to avoid late-payment penalties. While many credit cards come with the ability to transfer balances, a balance transfer credit card is one that offers a low introductory rate on balance transfers for a certain period of time. If you want to save money on a high-interest rate balance on an existing card, a balance transfer is a good way to go. Balance transfer interest rates vary — some are as low as 0 percent, but these usually have qualifiers such as a minimum of two transactions a month. The lower the promotional rate (and longer the promotional period) the more attractive the card is. However, you'll often need good credit to qualify. Just as the name indicates, rewards cards are those that offer rewards on credit card purchases. There are three basic types of rewards cards: cashback, points, and travel. Some people prefer the flexibility of cashback rewards, while others like points that can be redeemed for cash or other merchandise. Travel rewards cards remain a favorite among frequent travelers because of the ability to earn free flights, hotel stays, and other travel perks. Student credit cards are those specifically designed for college students with the understanding that these young adults often have little or no credit history. A first-time credit card applicant would generally have an easier time getting approved for a student credit card than another type of credit card. Student credit cards may come with additional perks like rewards or a low-interest rate on balance transfers, but these aren't the most important features for students looking for their first credit card. Students generally have to be enrolled at an accredited four-year university to be approved for a student credit card. Charge cards do not have a preset spending limit and balances must be paid in full at the end of each month. Charge cards typically do not have a finance charge or minimum payment because the balance needs to be paid in full. Late payments are subject to a fee, charge restrictions, or card cancellation depending on your card agreement. You typically need to have a good credit history in order to qualify for a charge card. Secured credit cards are an option for people who don't have a ​credit history or who have damaged their credit status. Secured cards require a security deposit to be placed on the card. The credit limit on a secured credit card is typically equal to the amount of the deposit made on the card, but it could be more in some cases — such as a major default such as defaulting on a mortgage payment. It's worth noting that you're still expected to make monthly payments on your secured credit card balance. Subprime credit cards are one of the worst credit card products. These credit cards are geared toward applicants who have a bad credit history and these cards typically have high interest rates and fees. While approval is often quick, even for those with bad credit, the terms are often confusing. The Federal government has made rules regarding the amount of fees subprime credit card issuers can charge, but the card issuers often look for loopholes and ways to skirt these rules. 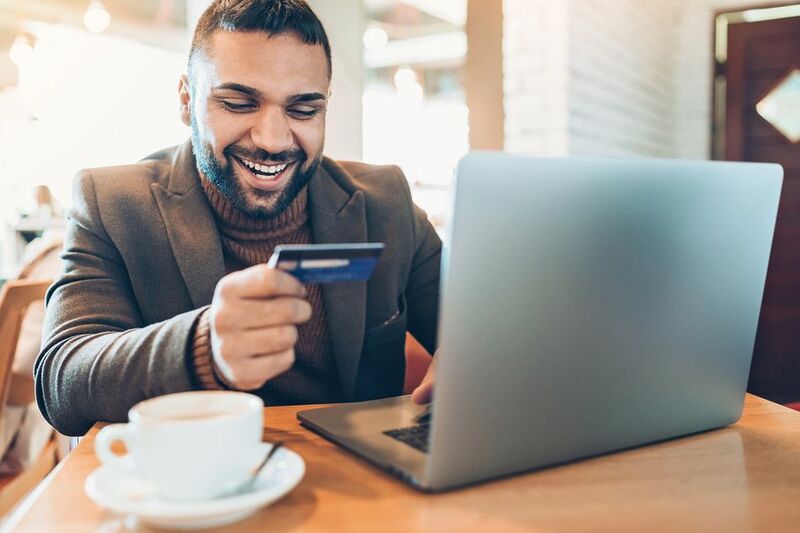 Despite the unattractiveness of subprime credit cards, some consumers continue to apply for the cards because they cannot get credit elsewhere. This is a situation where you have to proceed at your own risk. Prepaid cards require the cardholder to load money onto the card before the card can be used. Purchases are withdrawn from the card's balance. The spending limit does not renew until more money is loaded onto the card. Prepaid cards do not have finance charges or minimum payments because the balance is withdrawn from the deposit you've made. These cards are not actually credit cards, and they don't directly help you rebuild your credit score. Prepaid cards are similar to debit cards, but are not tied to a checking account. A lot of people use them as a way to stay within budget. Even for a business credit card, your personal credit history is considered because the credit card issuer still needs to hold an individual accountable for the credit card balance.